The 28-75 F2.8 for Sony FE is one of our favorite lens available for full-frame E-mount. 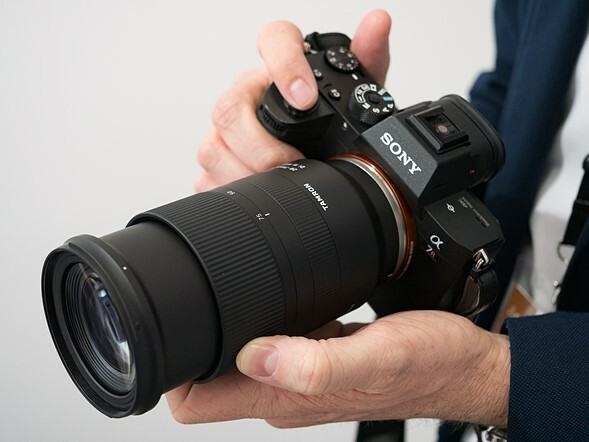 How this lens been received by customers and will we see other full-frame Sony E-mount lenses soon? That lens has definitely been very well-accepted by Sony shooters worldwide. Right now we’re still in a very heavy demand situation. Supply is catching up, though. I think it’s really the first lens that seems to fit the form factor of the camera itself. That balance and that lightweight design without compromising performance, everything about it fits the form factor and goal for what that system is all about. So definitely, with the acceptance of this, we’ll see more from Tamron for Sony mirrorless cameras. A nice fixed super fast 35, 50, and 85mm under $600 would be awesome too. Previous Previous post: Up to $1,000 Off Sony Black Friday Sales End on December 1st ! Next Next post: Will Sony a7S III Use this Leaked IMX435AQJ 36MP Full Frame 8K Sensor (4K at 480fps) ?